Oh Nvidia, you really know how to start stuff. So this morning I get an email from Nvidia introducing something called a BattleBox. At first I thought “Oh great, no Nvidia’s building a console” but thankfully as I read on that wasn’t the case. So what is the BattleBox? Well it’s a program that Nvidia has in place with multiple PC building vendors that will build gaming PC’s that are comprised of either a GTX 780 or GTX Titan in a 2-way SLI configuration sided with the best components that money can buy. 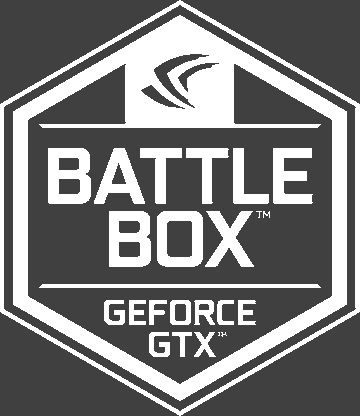 BattleBox ready PC’s are meant to take full advantage of Nvidia GPU’s and allow the gamer to play their games are the highest settings possible without any compromise in framerate and allow them to take full benefit of features such as PhysC, DirectX 11 Tessellation, HBAO and TXAA anti-aliasing. I’ll be honest, just reading this makes the PC gamer in me want to jump for joy but my wallet (as well as yours) is giving me the sad face. I know Nvidia means well but let’s be real, a GTX 780 costs $599 or more if it has a better than average GPU cooler and I should know, as I have one already and a GTX Titan is still sitting at the $900+ mark (as of PCpartpicker.com’s last update). Combined with either a high end Intel or AMD CPU, you’re looking at a pretty penny. Currently this program is only based in the UK, which I am not so I imagine it will also hit US soil…. it’s Nvidia so it likely will. For a full release click on this link.